Fred's power, scope and very comfortable canter make riding a course easy. With this superstar anyone can finish a course. No jump seems to be too high for him. And when the jumps get higher, his qualities will be shown to their advantage. His father Amadeus jumped the big courses with Karim El Zoghby. 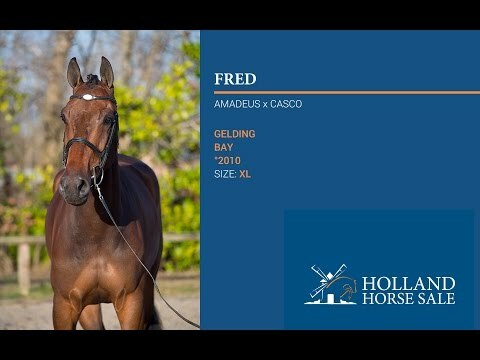 His grandfather Casco before him did the same with Marc Houtzager and the thoroughbred Gagson Wimborn x completes his pedigree.